I bet you've wondered what kind of expensive equipment people are buying to create the amazing 360° videos that are being posted everywhere. The answer is none! If you have an iPhone or an Android phone, you can create beautiful, seamless 360° videos in just seconds with the Google Street View app. 1. Download the app and log in. 2. 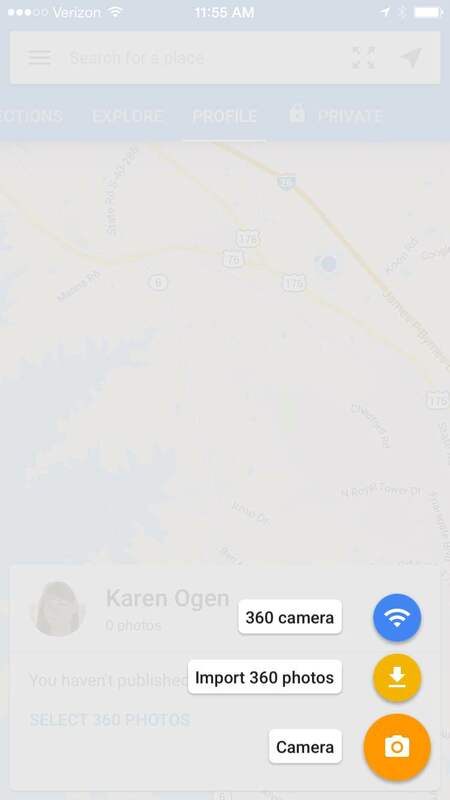 At the bottom right, click the + button and it will open your camera options. You will choose camera to create a 360 video unless you have purchased a special 360 camera. 3. Stand in the center of the location where you wish to take your 360. 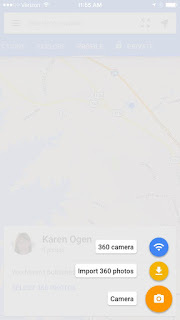 The app will direct you where to face your camera by matching up the circle on the screen with the dots as you circle right. 4. When you are finished, click the check mark and it will take a minute for the app to stitch the pics together. 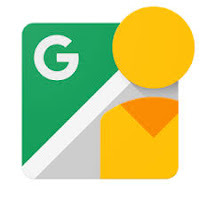 You now have the option of keeping your 360 video private, uploading to the Google Street View collection of videos, downloading it, or sharing it with various social media sites. 5. See that little cardboard symbol in the top right? 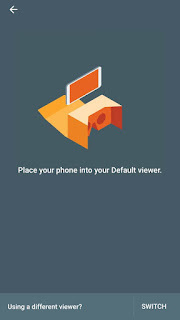 You can click that button and put your phone in your Google Cardboard viewer to watch your video in virtual reality! In the time it took you to read this, you could have created a 360° video. It is that easy! Why would you need a 360° video? 1. It's a fun way to introduce your classroom before students come in for the new year. 2. Create a virtual tour of your school for prospective parents. 3. 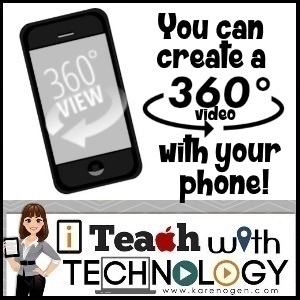 Take 360 videos of the places you visit on your vacations so you can share with your students. Some may never get to visit these places and it allows them to interact with the image as if they are there- especially if you put the image in a Google Cardboard viewer. 4. Take 360 images of your town and community buildings to share your community's history and to share with students when studying about community jobs, roles, and importance. 5. Take 360 videos when you go on field trips. Think of the amazing conversations your students will have upon the return when they can relive those experiences through virtual reality. 6. Take 360 videos of places you wish you could take your students for field trips, but you can't because of budget restrictions. 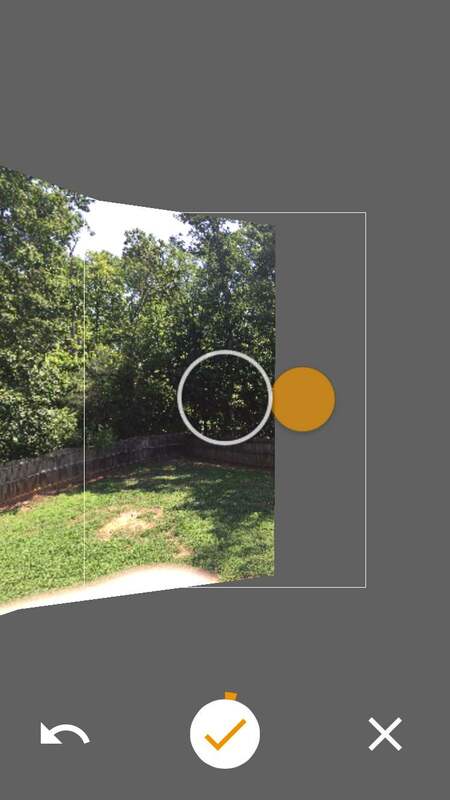 The 360 experience is more realistic than just sharing photos. I see you are downloading Google Street View now. Excellent! Make sure to share your ideas and videos in the comments. 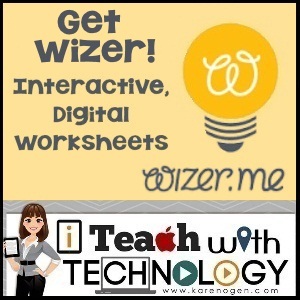 Wizer.me calls them worksheets, I call them assessments. This new site is a simple way to formatively or summatively assess students on video, audio, written content, or a combination. Now assign your Wizer.me worksheet/assessment to your students. 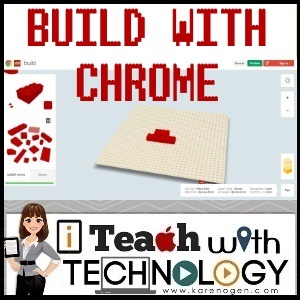 This resource integrates directly with your Google Classroom account! Or, you can copy/paste the link for students to access through Edmodo, email, etc. You can set up your Wizer.me worksheet to automatically grade your questions that are not open-ended. The teacher can also go back to the worksheet and review each students' answers and individually grade the assignments. I love online manipulatives! They don't cost anything, you don't have to store boxes of little pieces and parts, and they don't roll under desks. This collection of Math iTools by Houghton Mifflin is an excellent resource for any K-6 classroom. There are 10 main sections starting with basic counters and ending with probability activities. 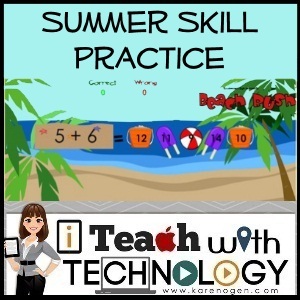 Within each section, you will find easy to use activities and fun graphics to engage your learners while reinforcing important math concepts. There are also built in activities within each section to further practice each concept. 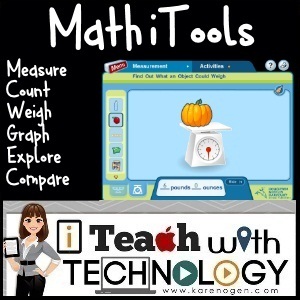 I know you will want to add the Math iTools resource to your lessons for small group and individual practice. For more interactive, online math resources, visit my Interactive Sites for Education. News flash! YouTube videos, the YouTube site, and the related videos that may pop up when your selected video is done playing may not be suitable for your students. Let me guess, I'm not telling you anything you didn't already know. That is why sites like Safeshare.tv have been around for awhile. Safeshare allows teachers to select a YouTube or Vimeo video and show it in a safer environment by removing all of the surrounding content. I have used Safeshare for several years now, but at a recent conference I was reintroduced to to the site and some of it's newer features. Now Safeshare.tv also allows users to crop the video content. So you don't want to show the entire 5 minutes of that video clip or you need to remove the first 20 seconds of introductory slides- you can! But wait, there's more! 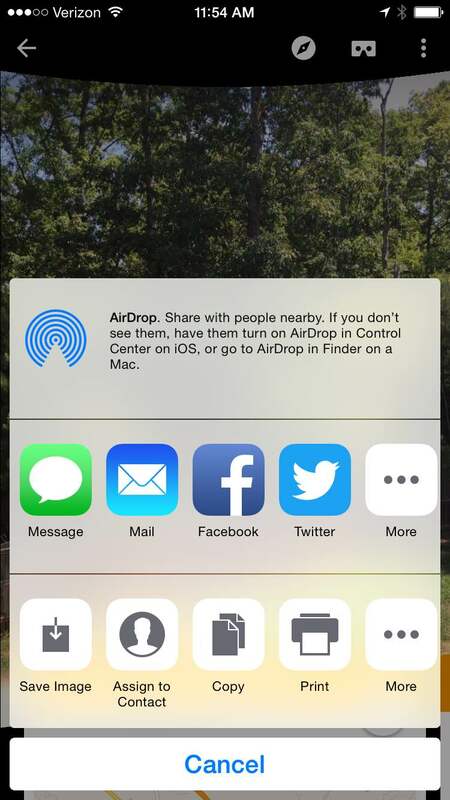 When you are done cropping the video content, you can DOWNLOAD it! That's right. You can download video content from YouTube with Safeshare.tv. You can also share your newly cropped and safely situated video on your favorite social media site or via email to your favorite teacher friends. How do you create a safeshare.tv video? 2. Crop the video by time (if you wish). 3. Share the video by the URL created, download your video, or share via a variety of social media. 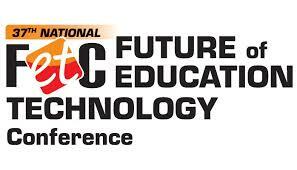 Note: If you share a Safeshare.tv video with a student, they can still access YouTube by clicking on the video. This product is meant for use while monitoring students. 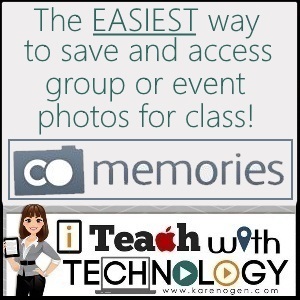 The EASIEST Way to Save and Access Group or Event Photos for Your Class. CoMemories! It happens all the time...you go on a field trip or there is a school event and now there are numerous parents, students, and staff members that all have pictures on phones, cameras, and devices! 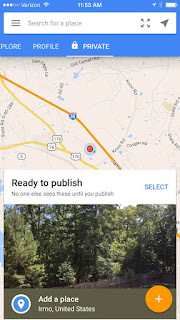 How do you compile them all in one place, especially if you want your students to use the images in follow-up projects from a field trip or learning experience? CoMemories.com is one of the easiest image sharing sites that I have found. Why is it so easy? 2. Give your gallery a name and CoMemories will give you a URL to share with your group. 4. Group members go to the provided URL, click the upload button and upload media directly from their devices. The best part is that now you can share the URL with your students and they can download and save the photos for use in their own multimedia projects! How great is that...students using media that they created instead of grabbing images from Google. 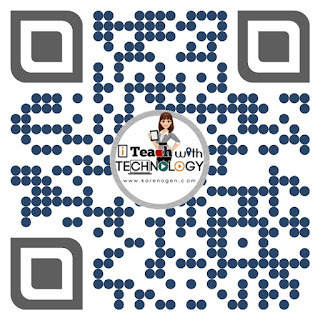 QR Codes make it easy for your students with iPads or computers with QR readers to quickly get to websites without having to type in long URLs or having to find a resource page first. I also love using QR codes for scavenger hunt activities and to reveal answers and information when students are checking their work. What I dislike about QR codes is that the generic black codes all look alike. However, QR generators like SnippQR! 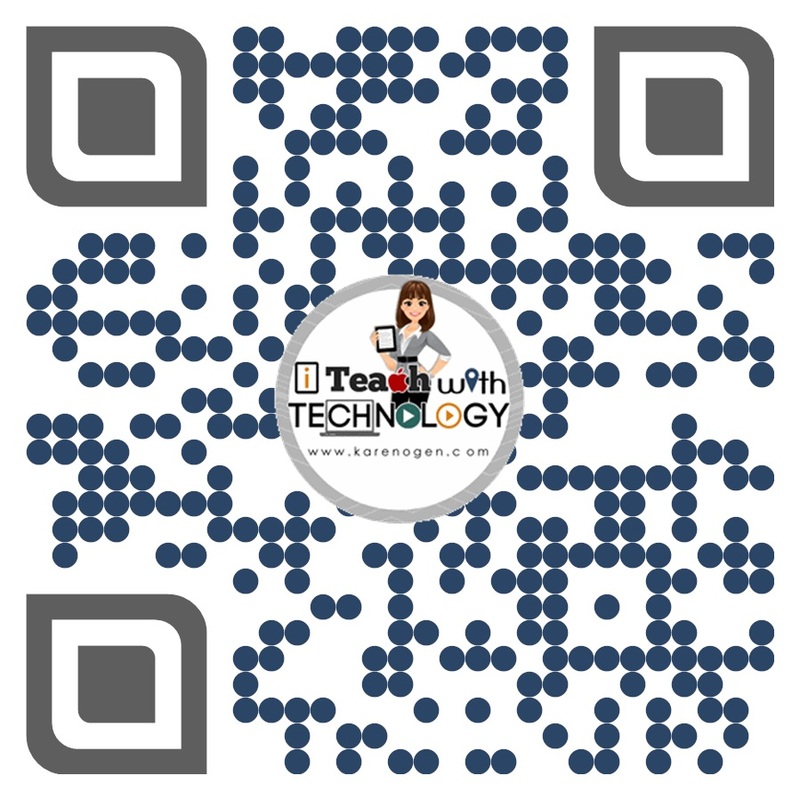 allow you to create unique, colorful, QR codes with an image that you can upload so that it is easy to identify or to brand for your website or business. There are many QR code generators available and they are EASY to use. You just type or paste in the URL your want the QR code to go to, add a few formatting choices, and it is generated for you to copy, download, or have emailed to you. SnippQR! 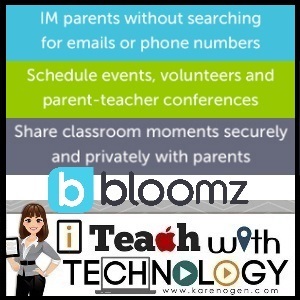 even comes with social media icons so you can create QR codes to quickly lead parents to your class Facebook or Twitter feeds. 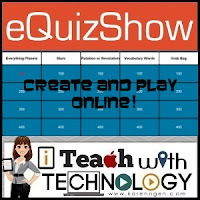 Set up a classroom website on weebly.com. An educator account will allow you to set up free pages for your students. The student pages will be their "QR Code Portfolio Pages". 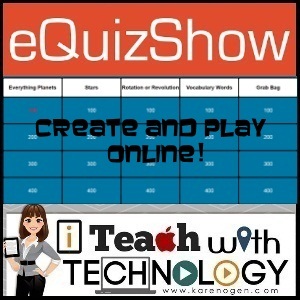 Create a QR Code for each students' web page. You can even add the students' picture to each QR code. 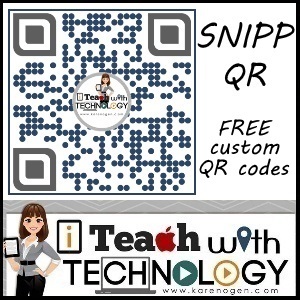 Place the QR codes in the hallway or on your classroom door so others can scan them. Now you or your students can copy/paste any exemplary work into their Weebly page anytime you wish. The QR will always link to this webpage. Ready to change it? Just delete what is there (it's a copy, right?) and paste something new in! Or, keep building the webpage as a portfolio. Here is the QR code I created in SnippQR! for my site. Try it out! It's summertime! Time for sleeping late, summer camp, the pool, and the dreaded summer slide! Don't let your students lose all of the knowledge they have learned throughout the year. I have spent five years compiling the best online, educational learning activities for almost every subject area K-5 on my Interactive Sites webpage. How can you share this? Just put the link (interactivesites.weebly.com) on your teacher webpage, school webpage, or send it home in your last newsletter. These activities are great for computers, laptops, interactive whiteboards, and Chromebooks for individual review, small group work, or whole class. Teachers, the summer is a good time to find some online resources to go with your lessons for next year as well. What can you find here? Hopefully everything you need for K-5 math, ELA, science, and social studies, but I am always open to suggestions so leave a comment if you need additional resources and I will see if I can find resources for you. 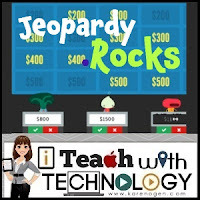 There are hundreds (if not over a thousand) of fun, engaging learning activities for your students. Your students might even forget that they are reviewing or learning. Please note: Most of these activities are Flash based. This means that they will NOT work on iPads unless you are running an app that allows Flash to play such as Puffin. I also put in several hours a week to review and update the site. However, links change rapidly and I cannot keep up with everything immediately, so there will be some broken links but I am working on it!